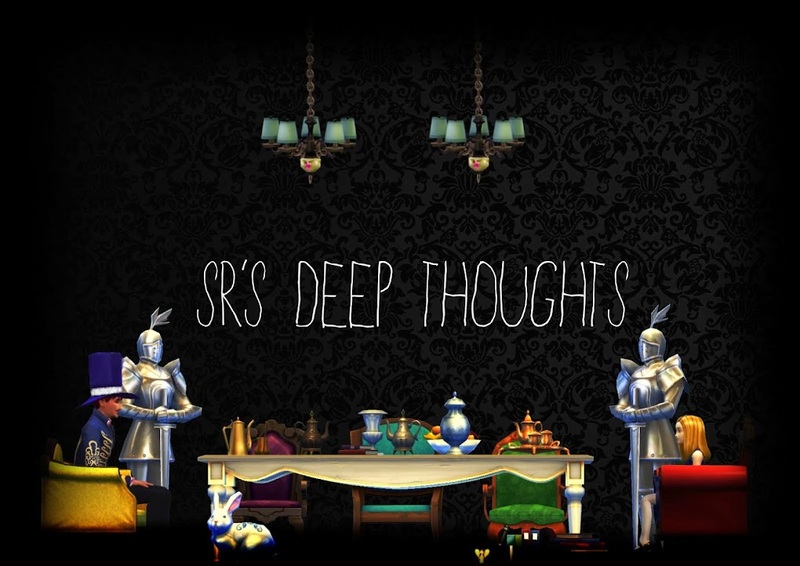 SR's Deep Thoughts: New blog? Maybe not. You see I'm going through something of a Simming rebirth and I'm just wondering if this blog is worth keeping or if I should start again? Same question for my YouTube account. As far as YouTube is concerned my content on there is currently not that great, I remember thinking it was at the time but now I've really had a change of heart. So I'm tempted to rebrand it and delete all my content and just start again. Back to the blogging though, I considered starting a new one but then it's so hard to get established and I was lucky that this one even was popular for as long as it was. And although it's lost its spark I think this one is worth keeping, or at least it's not worth starting a new one. Is anyone even reading this anymore, I think not, but I'm grateful for a place to articulate my thought process. Welcome back! I'm still here stalking this blog. :P B/w I almost changed my name, but it lasted for like two mins. LOL I support anything you do tho.